Vikas is a seasoned professional with over 20 Yrs. experience across Microsoft, Vodafone and Ericsson in the Digital Media and Telecommunications industry. 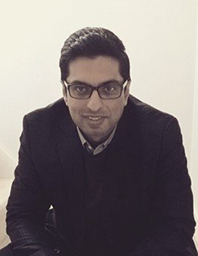 With his experience supporting the implementation and growth of Search programmes on the advertiser-side an, agency-side , Vikas currently works as a Senor Search Executive at Microsoft Search Advertising, promoting the benefits of the ever-growing Bing Network to Small and Mid-Sized businesses across UK, Ireland and Israel.